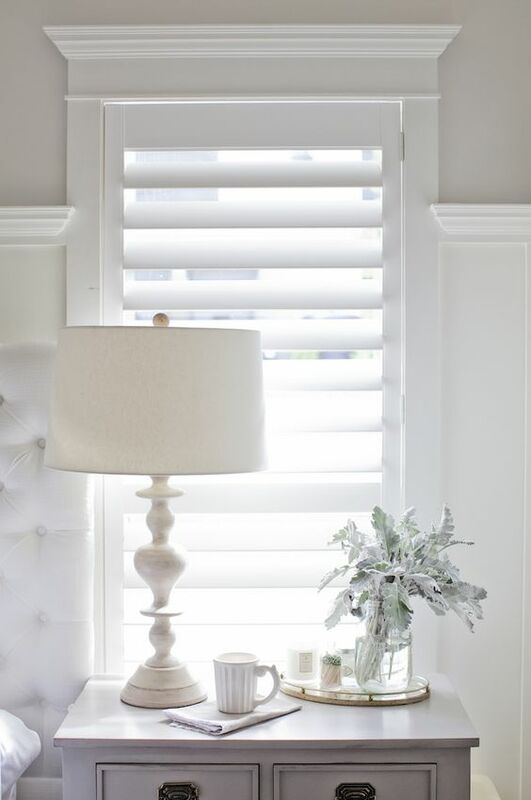 Love the look of plantation shutters, but think you don’t have the budget? 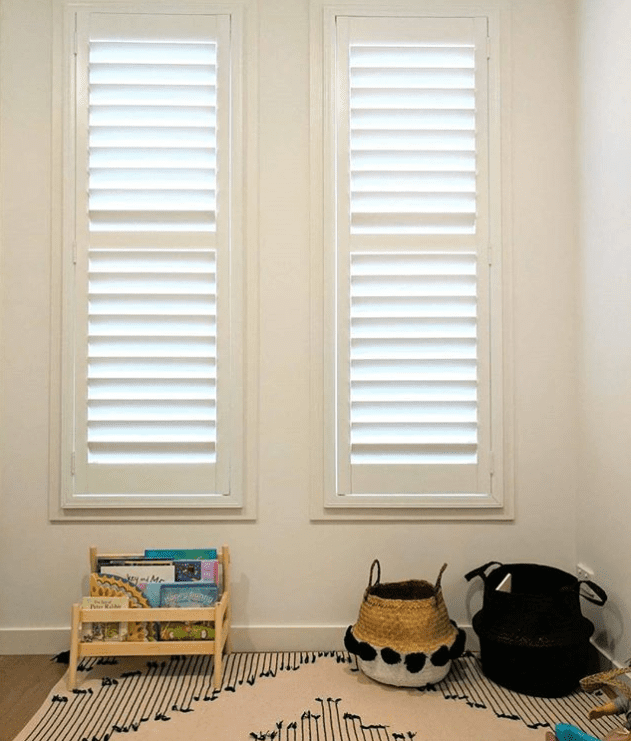 Meet Eco air plantation shutters! 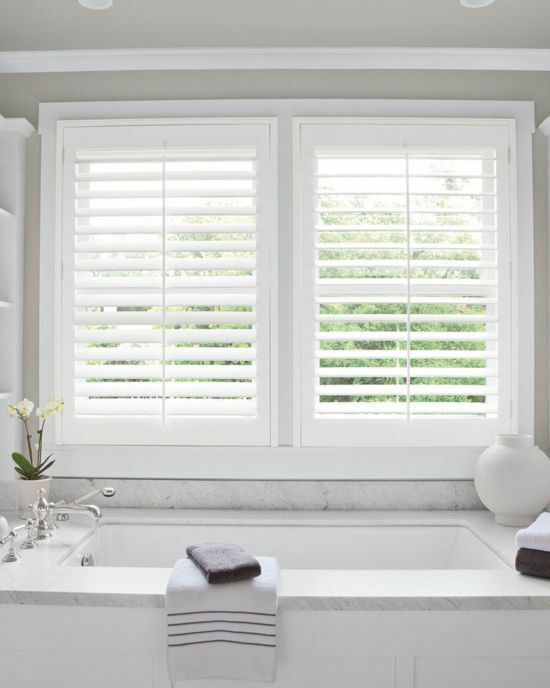 Bring a contemporary, modern and elegant look to any room while maximising privacy and light control with our eco air plantation shutters. 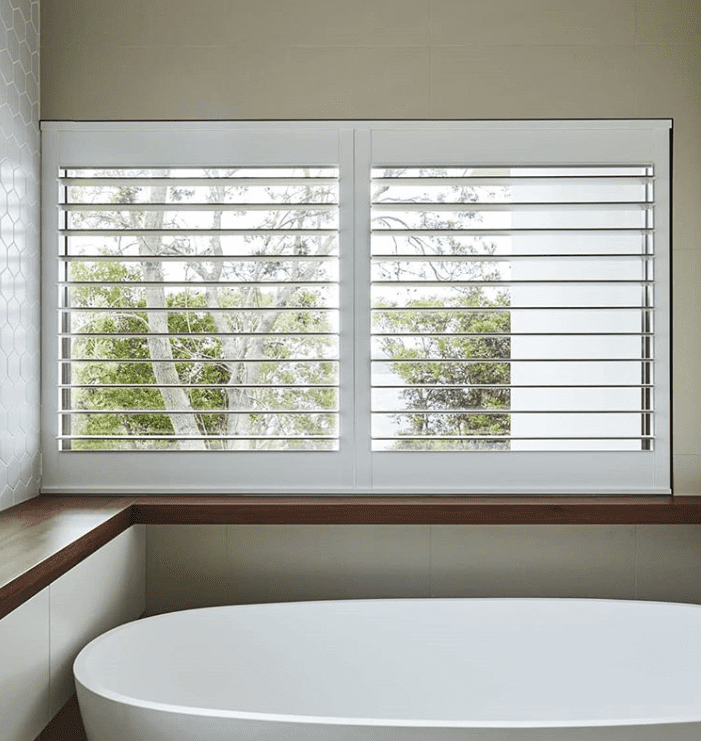 The eco air shutter blades provide a very cost-effective hollow design similar to honeycomb blinds trapping air for increased insulation and sound proofing. Blinds City plantation shutters are individually designed to fit any window and give total protection to your living areas or office space from the heat in summer and cold in winter. 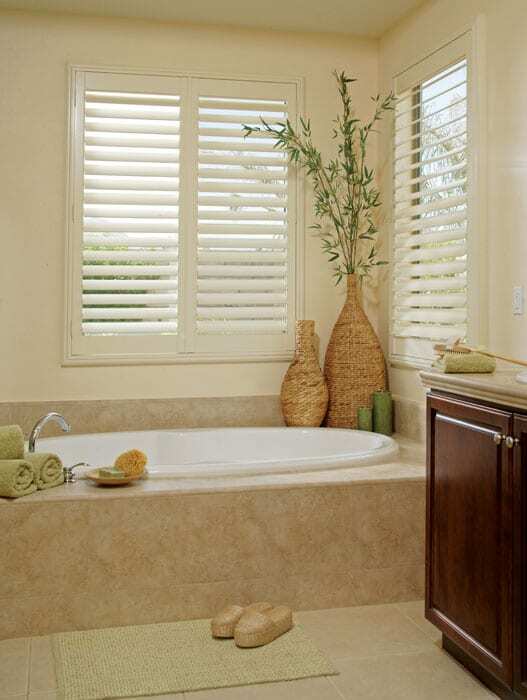 Looks just like timber and are manufactured to be strong, hard-wearing and very cost effective. 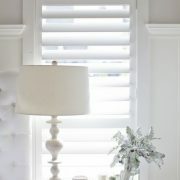 The tilt rod is hidden out of view, positioned at the rear, on the hinge side to easily open or close the shutters. 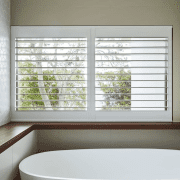 Save energy costs by keeping out the heat in summer but retaining the warmth in winter. 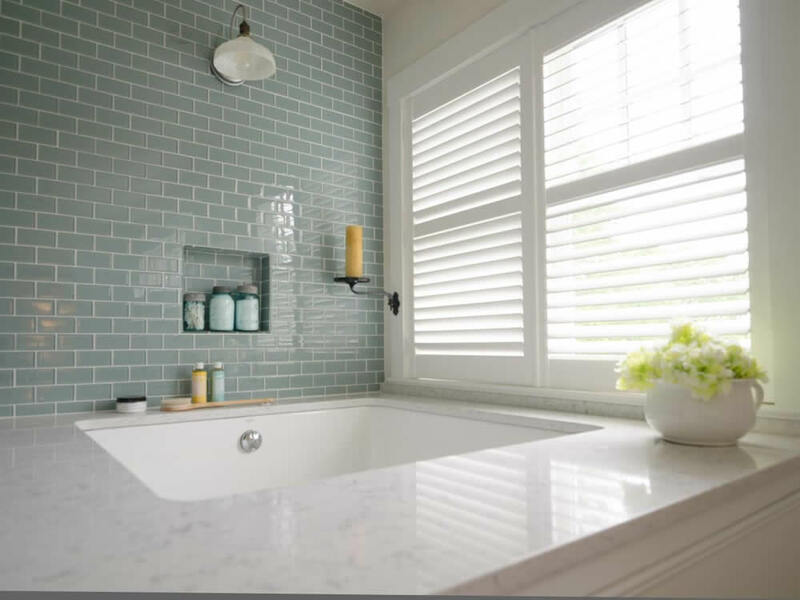 With UV protective technology and water-repellent properties ideal for any room including bathrooms, laundries and kitchens. Certified in Australia by SGS to be chemically free, non- toxic and safe for your home, family and pets. 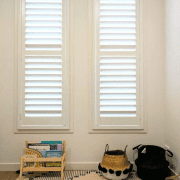 Highly durable plantation shutters with a 5 year warranty. 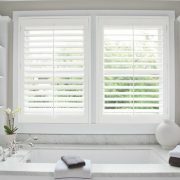 Blinds City products are backed with a 5-year warranty. 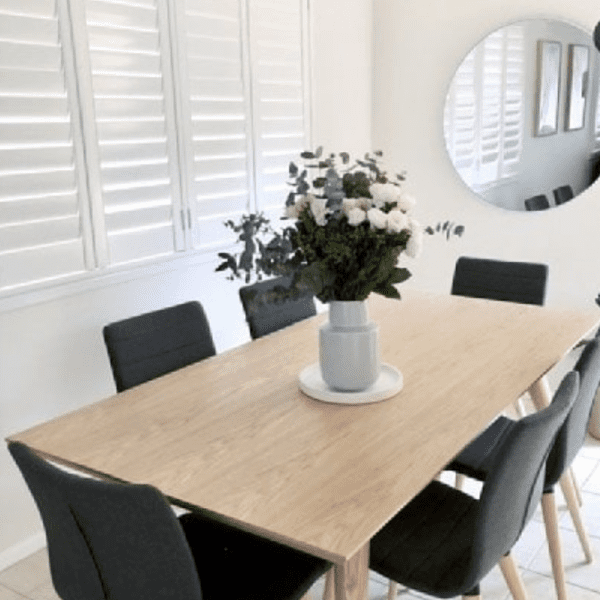 We are so confident in our product that we promise to repair, replace or offer a refund if the product fails to operate or has defects in materials or workmanship. If your product arrives or presents with damage please contact our support team at support@blindscity.com.au and provide your order details and a full description of the issue you are experiencing, including photos if possible. We will cover freight costs if your product needs to be repaired under warranty. Be assured that we’ve got your back in the event of any product issue with our 14-day money back guarantee! 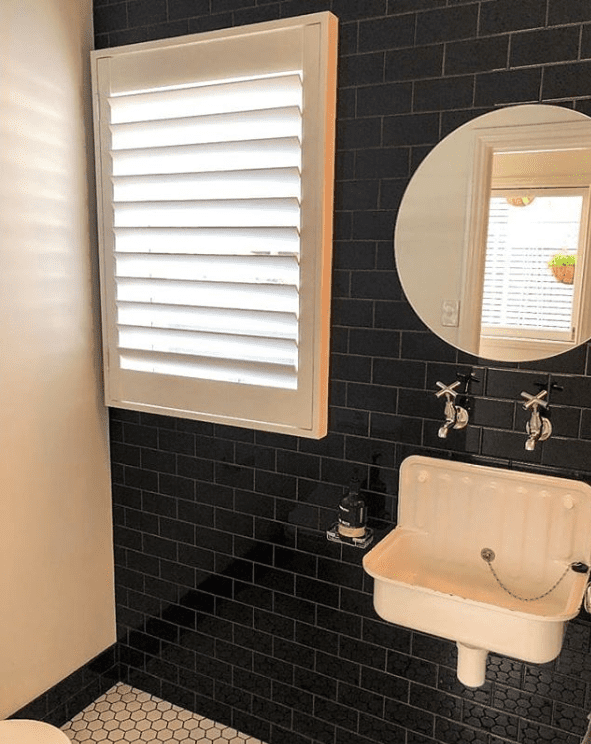 If you have a problem within 14 days of receiving your order and have provided accurate measurements and installed correctly, we will repair your product, or remake it completely. This covers faults and manufacturing errors only. For more information please read our Returns and refunds Policy. 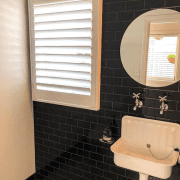 Custom, fully installed by us, Australia wide. 6 – 8 weeks from ordering.